1. Quote - Listen to the quote and guess what the slang means. 1. 定義 - Study the definition. 2. 用法 - Learn how the slang is used. Parents are amazing, aren’t they? They give us life. They teach us how to be good people. They feed us and give us a home to live in. We should always be nice and respect our parents. But sometimes, there are parents who don’t give their kids enough space or freedom. These are called helicopter parents. A helicopter parent watches every little thing his or her kids do, and hovers over them, just like a helicopter. Sometimes, helicopter parents will even go to their son or daughter’s job interview with them, which probably won’t help them get hired! A helicopter parent is better than a parent who doesn’t care about his or her children, but it’s important to let kids do things alone, too. 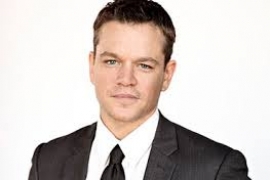 Actor Matt Damon says that he is overprotective of his kids, but he tries not to be a helicopter parent. He wants to make sure his children are OK, but he knows that they need their space, too. Do you or anyone you know have helicopter parents? What do they do? 1. Examples - Hear some example sentences. 1. Winners - See who guessed the slang definition correctly. A parent who always watch what their kids do. Helicopter parents are too involved in their's children life, try to protect them too much. parents that are constantly checking on their kids. As now I hane no children, but when I have them I will try to be not a helicopter parent! Fortunately I don’t have a helicopter parents. But I do found some helicopter parents have his son or daughter be successful like some sport stars they forces them to practice sport since they are very young until growth so crucial. but they gained the Olympic game gold medals. So I don’t know helicopter parents is good or not good all is depends what the kids feeling I think. As I’ve noticed, parent’s overpretection is a desease of only-child families or late parenthood. As for me, I listened to breathing of my babies as well. And I’m more overprotective of my children than my parents have been. The time changes, the parents change. My parents themselves are helicopter parents, they used to interfere with everything concerns me and my brothers, but now they are easier on us. I think they have finally realized that we need each to have his own space. I have to say that most inner complications among teens come either by much tightening over them or much loosening things for them more than accepted. I mean kids have to learn to depend on themselves and decide on their own without interfering, but also with keeping eyes on them and watching them from far. As I remember when I was kid most of the parents where normal, But nowadays I know most parents In Iran in big cities are helicopter parent! Most couples have one kid and they are overprotective of their kids! university entrance exam! These parents are always with children! Actually being overprotective of children isn’t bad but this manner should be such that not to hurt their independence, otherwise they will be depended. Sometimes, some kinds of viruses occupy eBaby. Probably, Julito has caught some virus to his profile. However, that’s less stressful than a helicopter ‘wife’. Now? Sometimes she gets curious about my life for sure and still has that feeling to protect me but she does not meddle with my desicions… Maybe she wants to but she knows very well that she has to stop it because I am mature enough to make the right decisions. Also if she ever tries to intervene, I warn her politely. “Mom, your baby has grown up. Just accept it and now let me be myself.” I cannot say she likes it much but she knows that she has to accept it. I do not believe I will be overprotective, but I wil be protective for sure. However I know my limits and where to stop. I will respect my children’s decisions and support them. Yet if I realize that they are on the brink of making a wrong decision, I will warn them. But still final decision will be left to them. Have you opened a new profile here? Dear Buttafly, thanks for the remainder. Happy day teacher.!! How about ” Drone parents ” is more advandce technology ….lol …. just kidding. Today is World English Language Day? How amazing. I did not know that. Thanks buttafly, for this information. Yes, Julito, I’ve got an experience with it. Probably that’s why I’m trying to cut some slack for my kids, knowing how too much of protection might be a little bit over the board. But it also depend on the personality, I remember some kids loved that care, and I know some just feel embarrassed. Kinda walking on egg shells, isn’t it? But definitely, the parents, I think need to be firm in teaching their kids a healthy lifestyle, safety and some more. My father used to be a hundred percent helicopter parent, no doubt about it. To tell the truth, I enjoyed the attention I was getting until I was thirteen, after that I wanted some elbow room. But my father didn’t understand this and kept hovering in the background which was quite annoying. Now being a parent, I understand that this “hovering” was done because he was worried that I might lose my way and have no hard feelings about it. Helicopter parsent if you go with some one is fun I nevr be in a air plane.